It’s that time of year again, the time where we give thanks to our Mama’s! The women who saw us through our good, our bad and our honorey (the southern word for being up to no good) stages. Here is a photo of me and my mama! 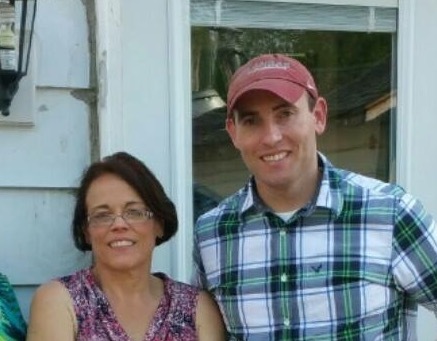 And here is the Mr with his mom! 1. Mother’s Day Movie – Give mom an afternoon date with her girlfriends. Mother’s Day Movie is opening Friday, April 29th. It’s a perfect inexpensive way to give mom’s some relaxation time. 2. Gable Lane Crates – I have recently discovered Gable Lane and have to share it with you guys. I mean, I love a good subscription box and I love home décor. This is the love child of the two. 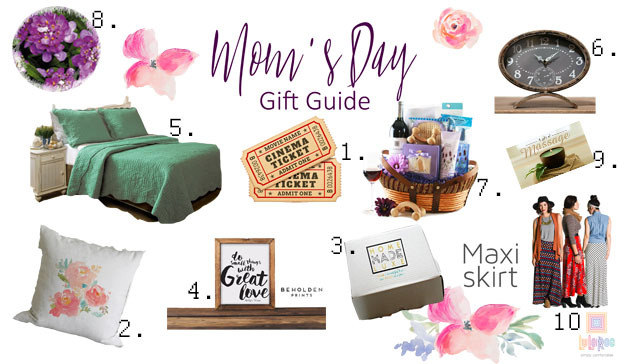 And, you can gift mom a limited edition mother’s day crate for $39.95. The adorable watercolor floral pillow is one of the fun items mom will get. 3. Home Made Luxe – Speaking of subscription boxes, check out Home Made Luxe. If the women in your life love a good craft project, then this is right up their alley. You can gift a monthly box and they will receive a craft project to put together. Great for a girls night. 4. Art – I’m always looking for great pieces to hang on the walls. These print signs make a great inexpensive and quick gift option. Most of the time you can download them for a mere $5 and have them printed and framed locally. The print above can be found at Etsy. 5. Bedroom Makeover – If you want to splurge on mom this year, how about a mini room makeover? A bedroom is a mom’s sanctuary. It’s were she gets to relax and unwind. How about making it a beautiful spa like retreat for her. AN & Associates have a great resource of bedding and other home décor at a great rate. 6. Antique Farmhouse – Antique Farm House is one of my favorites if you can’t tell. Their product sales change daily so shop quick. But it is one of the best sites for farmhouse décor on a budget. 7. DIY Gift Basket – How about a gift basket for mom? You can easily fill it with favorites. I love the basket above. Mom totally deserves a nice relaxing bubble bath and a bottle of bubbly. 8. Flowers – Any mom loves flowers. There’s just something about them that makes you smile. But what mom’s don’t love is when they go to flower heaven. Why not get her something that will last for years to come. Summerstone Nursery provides the Lowest Prices on Fruit Trees, Shade Trees, Flower Bulbs, Perennials, House plants, Vegetable Plants, Seed and More! And, they have a really awesome coupon code just for my readers. You can get 3 FREE additional plants for grandma, mother-in-laws, sisters ect. 9. Massage – How many times has mom remarked about needing a massage? Take her up on it. It’s a great way to spend an afternoon getting pampered and mom will love you even more. 10. LulaRoe – The wave of the future, this fun online shopping experience is done through individual consultants mainly on social media platforms. Not only is the buying part fun, but the clothes are to die for. You can find an amazing consultant here, she has Mother’s Day Gift Cards available. 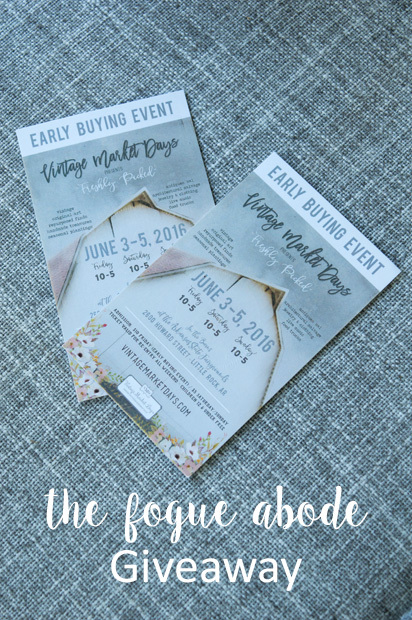 If you haven’t signed up already, check out Wednesday’s post to win a pair of tickets to Vintage Market Days June 3-5. Post contains affiliated links; meaning, if you choose to purchase from these links, I could make a small commission.